With more than 40,000 students and 5,000 employees, Münster University is Germany’s 3rd biggest university. It offers a wide variety of subjects and maintains a diversified research profile. The university’s IT center (Zentrum für Informationsverarbeitung, ZIV) offers a sync & share service called sciebo (short for “science box”) – not just for Münster University, but for almost all universities and a research center in North Rhine-Westphalia, the most populous federal state in Germany. Currently, more than 100,000 users are registered for sciebo. The service is based on the content collaboration solution ownCloud. The platform not only offers the convenience of classic sync and share services such as Dropbox or Google Drive, but also meets the high security and data protection requirements that exist in the German research and education landscape, including the ability to distribute the systems platform across various geographically/dispersed locations. As Holger Angenent says, ONLYOFFICE and ownCloud are already successfully in use at numerous universities and organizations. Internal testing demonstrated that both solutions were ideally suited to sciebo application scenario, and were superior to other solutions. 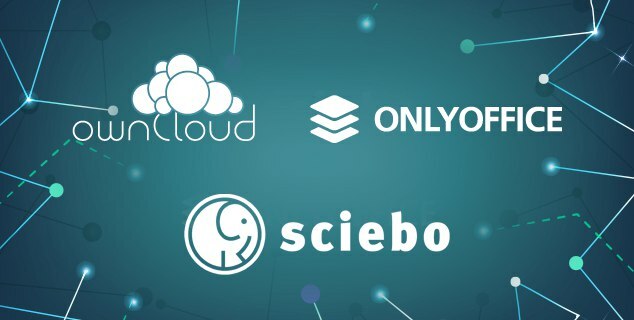 It was also very important that both are Open Source products that serve a great demand of sciebo users and have a scalable robust architecture. As for choosing online document editors, there were some alternatives in question, “but eventually ONLYOFFICE seemed to be best suited for our needs, especially when it comes to the use together with Microsoft Office, since compatibility with MS formats is crucial for many of our users”, comments Holger. Organizing sciebo was a complex task because the service has to scale for user numbers much larger than the usual one. Legal challenges have to be mastered as well and, in this context, end user contracts, according to GDPR, had to be created. Even more important is that the service has to be tailored to users needs. “We match this target quite well according to our surveys, where the users attest us an even better quality than of the big names in cloud business”, tells us Holger Angenent. Amongst sciebo users, there are also researchers who deal with sensitive and often confidential data, and therefore have very high demands on data protection and protection against data loss. Both ONLYOFFICE and ownCloud provide an essential level of data security, including GDPR compliance (read more about GDPR standards in ONLYOFFICE and ownCloud). Many sciebo users are often working on text documents, spreadsheets and presentations together. They do this on their own, or in groups together with users from their own or other institutions, as well as external users with guest accounts. Since sending documents via email each time a user makes some changes is rather time-consuming, a solution for simultaneous document editing that could be integrated in sciebo was needed. “Hopefully, the ownCloud-ONLYOFFICE combination has simplified the exchange of data and fostered more collaborative work per se. To reveal concrete changes in the everyday working lives of our employees, we will have to conduct further studies”, tells us Holger. One of the issues sciebo faced was the struggle with the combination of federated shares and simultaneous editing. Document co-editing between federated clouds will make the collaboration easier. ONLYOFFICE has already started discussion with the ownCloud team regarding adding this capability for enterprises. Learn more about the integration of two solutions on the official websites of ONLYOFFICE and ownCloud. The latest version of the ONLYOFFICE connector for ownCloud is always available for download in the ownCloud Marketplace. If you would like to try the ownCloud-ONLYOFFICE integration, you may install the integrated solution using Univention virtual appliance, or Docker Compose.